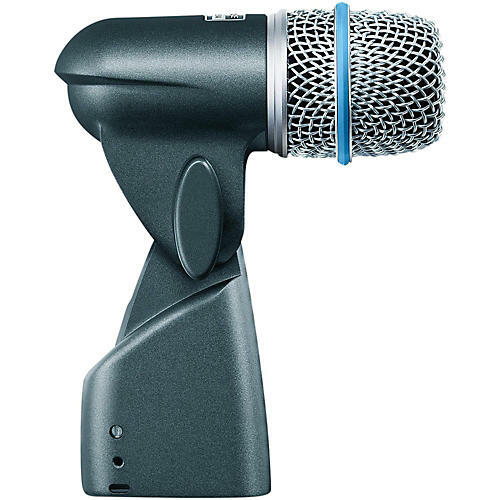 The Shure Beta 56A is a super cardioid pattern dynamic mic that features a wide mounting base capable of accommodating a large range of microphone stands. Even works with the LP Claw (443262 - see customer product box). Compact, pivoting design boasts an extremely uniform pickup pattern with high gain-before-feedback and excellent rejection of unwanted noise. Built-in dynamic locking stand adapter with an integral XLR connector simplifies installation. Perfect for miking tom-toms, percussion instruments, guitar amplifiers, brass instruments, and woodwinds.